Contrary to popular belief, Noor had a clear understanding of what family planning is, and her husband was supportive of it – she had delivered her daughter with the help of a midwife at that very same health facility. She was encouraged to have her child here by a Rohingya traditional birth attendant– a volunteer in BRAC’s health team. 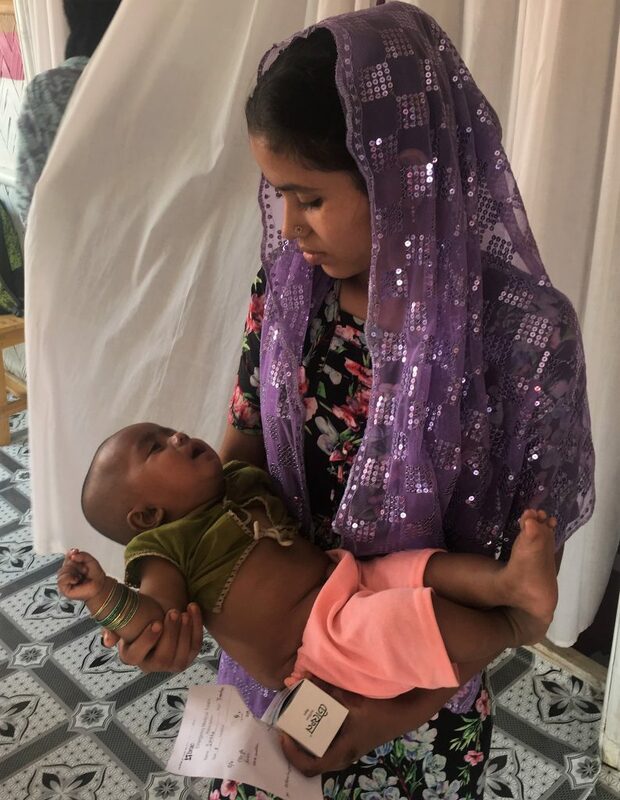 Noor Hasina–a Rohingya refugee and new mother–spent a good part of her morning at one of BRAC’s primary healthcare centres with her six-month-old daughter, Israa. First, they saw a doctor for a diaper rash Israa was having, and then, Noor had her second breast feeding counseling session with one of the nutritional counselors. She finished her time at the centre passing by a midwife to request a pregnancy test. As she moved from the nutritional corner with Israa to the midwife room, I got to learn more about her story. Noor Hasina with her daughter, Israa. Before Noor Hasina and her husband fled to Bangladesh for safety, they did not regularly access healthcare services and viewed services like these with a degree of suspicion due to the political climate. Back home, women in Noor’s community usually gave birth at home; they did not access any ante or post-natal care services. Simply said, family planning was not something she or her husband were familiar with. But a lot changed had since they came to Bangladesh. In speaking with Noor, I learned that she had delivered her daughter with the help of a midwife at that very same health facility. She was encouraged to have her child here by a Rohingya traditional birth attendant– a volunteer in BRAC’s health team. Contrary to popular belief, Noor had a clear understanding of what family planning is, and her husband was supportive of it. Noor’s story and many others like it prompt me to think about how we continuously make sweeping generalisations in this field to the detriment of communities we serve. 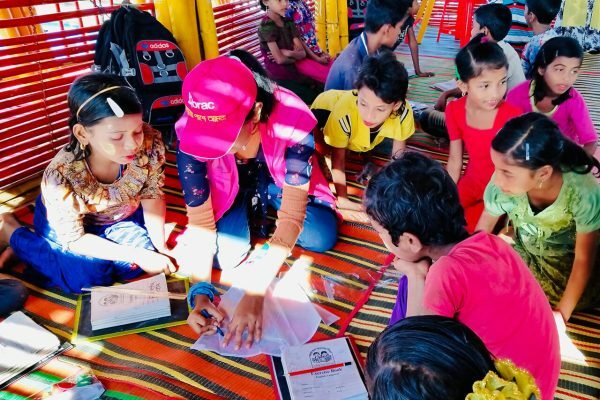 Many might find it surprising that Noor’s family was open to family planning at all, since it is often assumed that people from the Rohingya community must be staunchly against it. We end up assuming that the solutions are the same- all emergencies are the same, all camps are the same, all people are the same. This flawed logic can hinder our ability to engage with the very communities we aim to serve. “It is their culture” or “ it is their religion or tradition” is routinely said in meetings as a justification for almost everything you can think of – from low utilisation of reproductive health services to challenges facing vaccinations. Culture can affect every interaction we have with people of the Rohingya community. However, accepting and using ‘culture’ as a blanket explanation can only be detrimental for the development of interventions, especially during a humanitarian crisis. There will be always be people who are wary of certain services ie, family planning or facility-based deliveries. This perhaps arises from the fact that they were not familiar with these services before, or that they have some misconception surrounding them. It is simply in our nature as human to be afraid of what we do not know or understand. 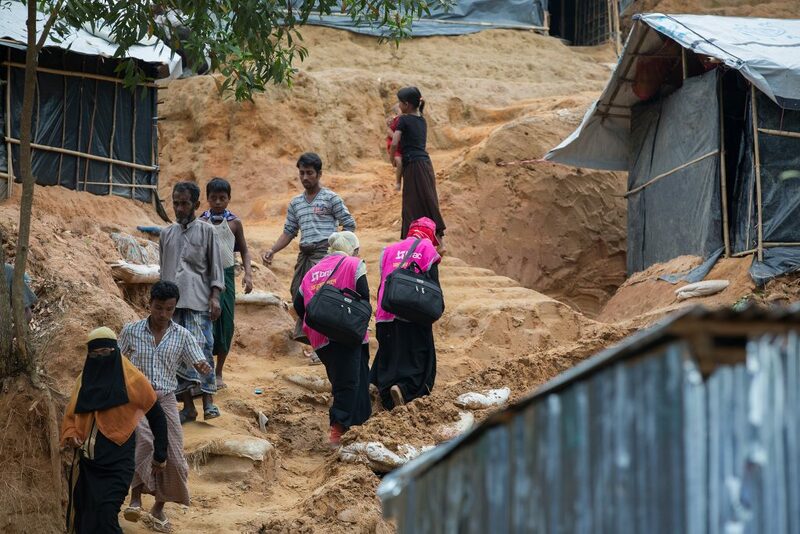 Outreach workers walking uphill in the informal settlements of Kutupalong, Cox’s Bazar. BRAC has overcome some of the challenges posed by cultural barriers, by focusing on community engagement in every intervention, with the belief that people are always willing to change. Our network of community volunteers and workers has been doing incredible work. They have provided more than 1 million consultations, including 38,000 antenatal care visits, 21,000 family planning services, and have safely delivered more than 950 babies. Their work goes beyond just delivering services, but contributes to changing people’s perceptions- even if it means going door to door for informal awareness raising sessions. There is still a lot for us to learn in this field as humanitarian workers, especially from the very people we are here to serve. For me, it was a new mother – a young Muslim woman taking shelter in Bangladesh, fighting the odds. Dr Mahmoud M Homsi is a health adviser for health at BRAC’s humanitarian crisis management programme.